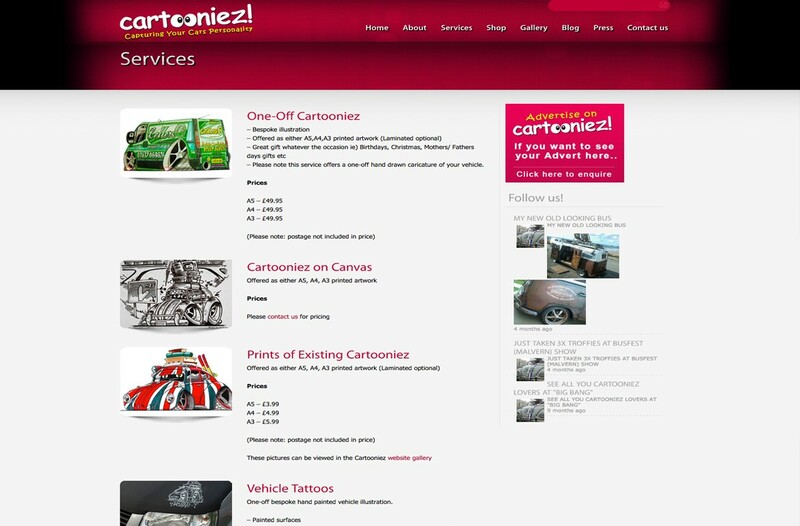 The founder of Cartooniez‚ Peter Jones wanted a website to capture the fun nature of the brand and his distinctive cartoon styled illustrations and Car Tattoos. 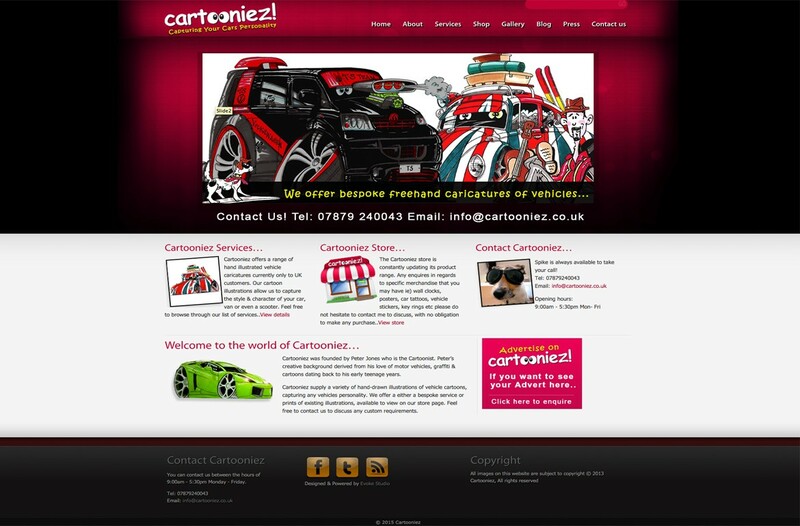 He wanted an online platform where visitors could browse through his archive of diverse work and product listing, as well as finding out what Peter and Spike have been up to in the form of blog posts and press articles. 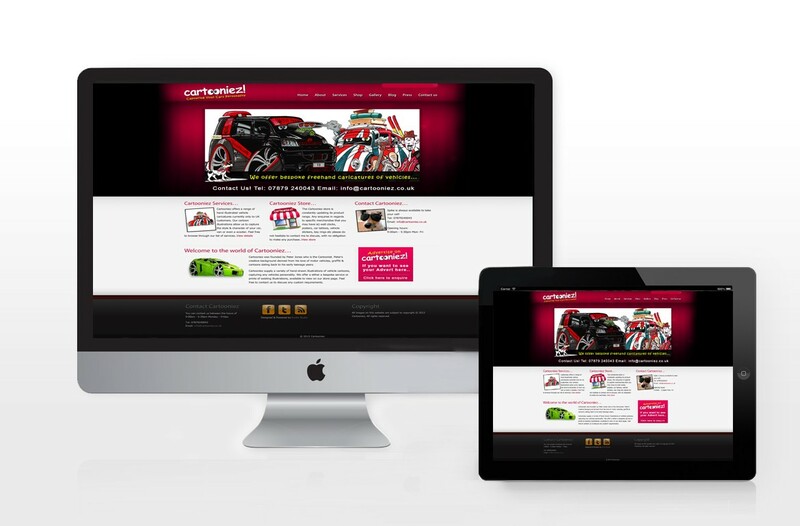 It was a pleasure working with Peter and delivering a website that will benefit his business.